After enduring decades as one of professional football’s worst teams, the Pittsburgh Steelers began their streak of dominance in the 1970s, recording four world championships in that decade alone. The Steelers now share the record for most Super Bowl appearances (8) and championships (6). Now supporters of one of the NFL’s most storied franchises will go into the locker room and onto the turf with over twenty Steelers legends in Game of My Life Pittsburgh Steelers. Sportswriter Matt Loede opens the doors to players’ private remembrances of how it was and how they reacted to the spotlight. Big touchdowns, career-making moments, and championship glory shared all come to the surface for Steelers of the past half-century. Readers will hear tales from Hall of Famers such as Joe Greene, Jack Ham, Mel Blount and fan favorites including Charlie Batch, Tunch Ilkin, and Mike Tomczak. Within these pages, Pittsburgh gridiron greats offer glimpses of the National Football League in the 1960s, the 1970s, and right up through present-day play. 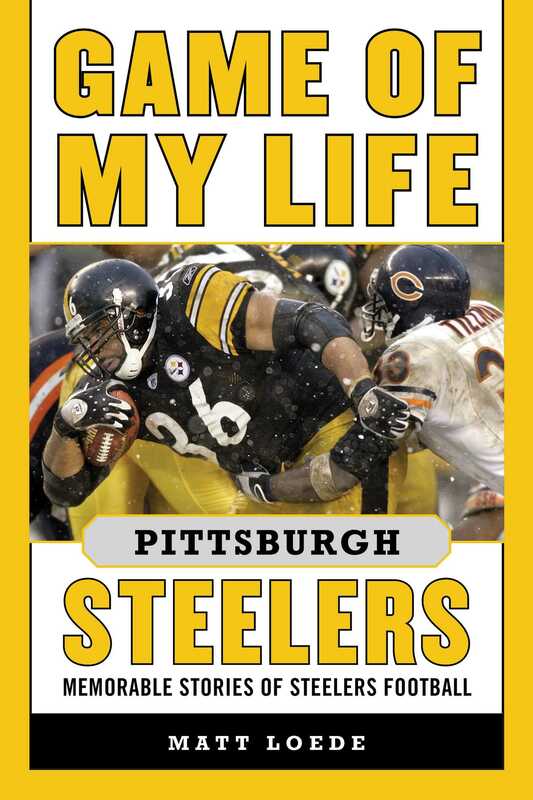 More than forty years of Steelers experience is represented in this collection of tales told by the men who played in some of the most memorable games in franchise history.